Webster, WI is less than two hours northeast of the Twin Cities. With a population over 600, this quaint town is home to breathtaking lakes and dazzling fall foliage. That combined with the restful pace of life, makes it an ideal place for the vacation homes that populate the area. The roof’s cedar shakes had begun to deteriorate & moss was growing on them. As we drove up Gary’s alluring gray custom paver driveway, we were awestruck with the beauty that surrounded his rustic lodge vacation home. Majestic trees towered over his Wisconsin property and the home was situated near the picturesque waters of a serene lake. 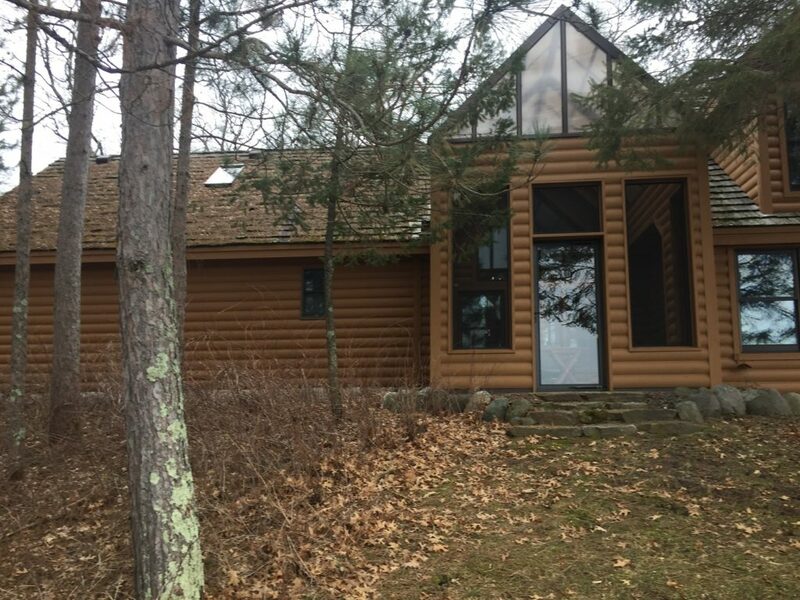 The primary reason he’d contacted us was because the home’s current cedar shake roof was in need of replacement. Moss had begun to grow in areas. In others, debris from nearby trees was scattered. From the ground, it was easy to see that the shakes were deteriorating. After weighing the pros and cons of installing metal and asphalt roofing, Gary decided that his next roof should be metal. Here’s how the roof looked prior to replacement. Here’s a list of the products Gary picked to transform his roof. Englert Metal Roofing: In order to preserve the home’s landscaping, we covered it with tarps. Windows were covered with plywood to protect them. We dedicated specific zones for tear-off and used wheelbarrows to transport the cedar shakes to the dumpster. Rather than risk damaging the Wisconsin home’s paver driveway, we placed the dumpster in an area of undergrowth. StormGuard® Ice & Water Shield was applied to all eaves, rakes, and perforations. The amount used exceeded more than was required by local building codes. Once prep work had been completed, we installed a Dark Bronze Englert standing seam metal roof. This type of metal roof works well for the environment the home was located in. Unlike the previous cedar shakes, metal roofing does not have the risk of moss and mildew. Metal roofing also stands up to birds, insects, and rodents. With the substantial snowfall Northern Wisconsin receives, a metal roof is ideal for shedding heavy snow in the cold climate. Snow rails were installed on the metal roof to prevent snow slides in high traffic areas. This is how the roof looked after completion. VELUX Skylights: When you’ve got a metal roof with a 35-year paint finish warranty, the last thing you want to do is have additional work done to it in subsequent years. For this reason, we strongly recommended updating the home’s skylights at the time of metal roof installation. On this project, Gary had four preexisting VELUX Skylights which we replaced with new ones. They work wonderfully for visually enlarging areas of the home that would otherwise be starved of natural light. Having been in business for over 75 years, VELUX offers cutting edge technology, including units that can detect rain and automatically close. 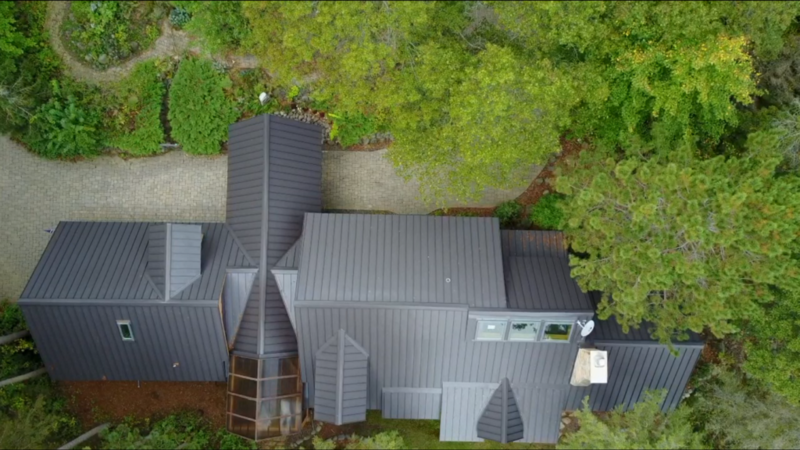 Here’s an aerial view of the completed roof and skylight project. LeafGuard® Brand Gutters: Gary’s property had preexisting gutters. 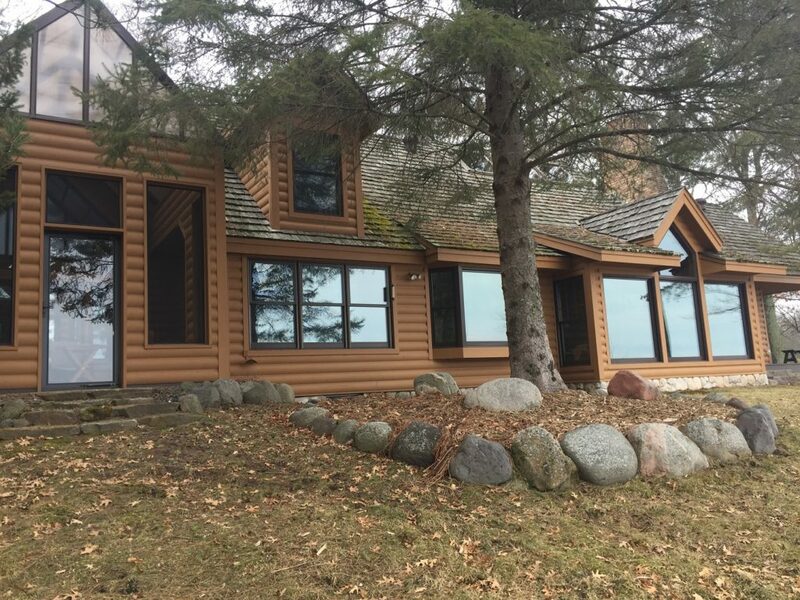 However, with the amount of tree coverage the Wisconsin home had, it was a wise decision to upgrade to LeafGuard® Brand Gutters. If for any reason they ever clog, our team will be tackling the chore of cleaning them, which is the last thing a homeowner should have to concern themselves with at their vacation property. In addition, they’ve got an unparalleled aesthetic appeal and are the perfect element to complete a metal roofing project. Find out why this Twin Cities homeowner replaced his cedar shake roof with a metal one. 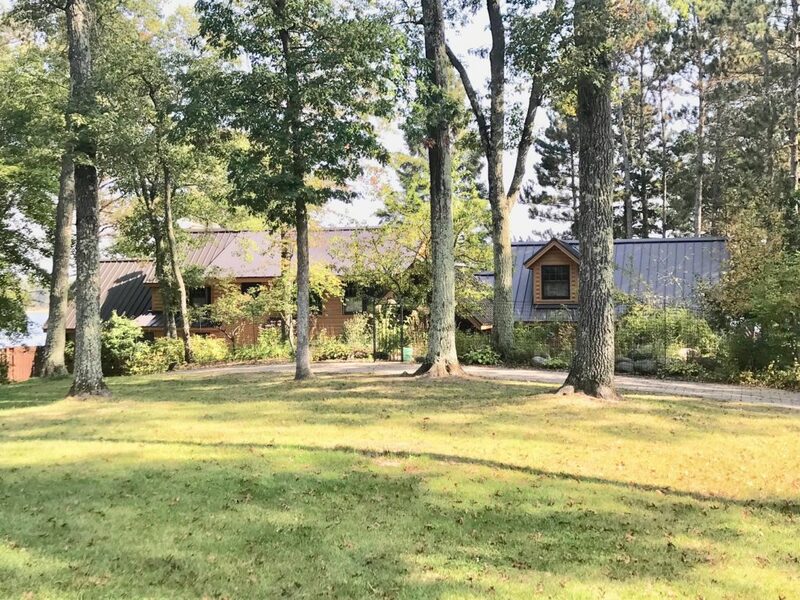 "Several years ago, we had Lindus Construction install LeafGuard® Gutters on our garage and we were so impressed with the quality that after we built our home on the same property, we contacted Lindus Construction for a quote on installing gutters on our home. The salesman was very knowledgeable and within a very short time, the gutters were installed and just in time as we have had a lot of rain and they worked fantastic. Thank you Lindus Construction for an awesome experience, we highly recommend your company to anyone looking for a top notch experience." - Dee R.
"Very happy with service." - Ken D.
"Great job, on time, and professional." - Ron P.